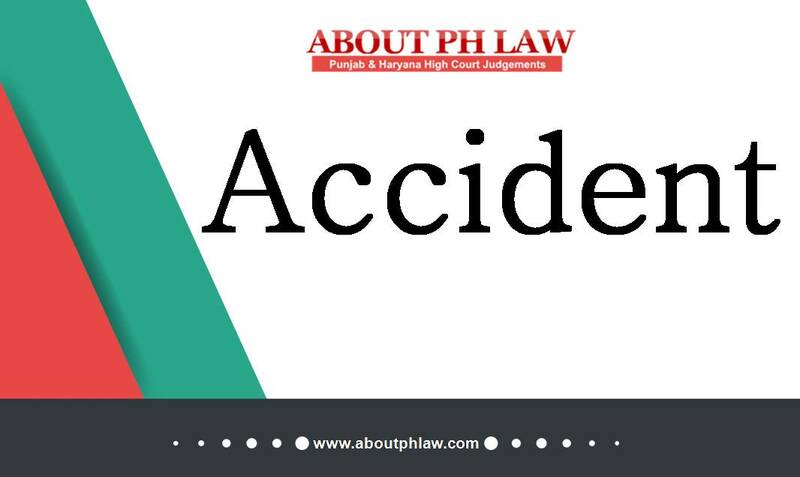 Accident—Just Compensation—Appellant aged 5 years suffered disability due to injury in spinal cord—Total compensation of Rs. 31,25,015/- awarded with 7.5% interest p.a. Comments Off on Accident—Just Compensation—Appellant aged 5 years suffered disability due to injury in spinal cord—Total compensation of Rs. 31,25,015/- awarded with 7.5% interest p.a. Accident—Route permit—Plying of vehicle outside the territorial limit of route permit is not violation of terms of insurance policy. Comments Off on Accident—Route permit—Plying of vehicle outside the territorial limit of route permit is not violation of terms of insurance policy.